Getting a work visa in the United States is slow, confusing, and leaves many worried that they could be deported. Two years ago, the IT and legal teams from Microsoft joined forces to completely overhaul the work visa process. They did it to add simplicity and to make it less stressful. Microsoft Core Services Engineering and Operations (CSEO) partnered with the US Immigration team in Microsoft Corporate, External, and Legal Affairs (CELA) to build and launch Microsoft Immigration Management System (MIMS), a Dynamics 365 portal that has since massively improved the way foreign nationals apply to work in the US for Microsoft. 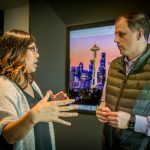 Getting the immigration process right is critical to Microsoft, which continues to grow its diverse, global community of foreign national employees, which is 15,000 strong and growing. The need to revamp the work visa program was also fueled by the anti-work visa posture taken by some US leaders. Employees abroad worried if they would be able to return home, and those in the United States that they would be forced to leave. Families feared being separated. Streamlining the immigration process helped ease some of those fears while helping Microsoft continue to bring in people with diverse backgrounds, experiences, and expertise, says Bob Ulmer, MIMS business product owner within CELA’s US Immigration team. MIMS enables employees to easily view their immigration status and the status of their families, and to quickly take any needed actions. On the CELA side, MIMS allows the Microsoft immigration team to handle forms, store documents, review a record of case-related emails. “All of this was designed to smoothly integrate the experience of all people involved in an immigration case, including immigration specialists, attorneys, external vendor partners, CELA, and the employees going through immigration process,” Mahendran says. Recent improvements to MIMS have made it much more effective, Ulmer says. Now data is seen in real time, which allows critical decision-making to happen faster, lowering the employee’s chances of having their work visa rejected (and of them possibly being deported). The changes substantially speed up the application timeline. The improvements are layered over the unique experiences that US Immigration team members have with the tool. They can use it to interact with internal partners like Human Resources, and to take actions like submit bills and fill out forms. Each has its own workflow, billing, and auditing requirements. MIMS now uses data to manage documents and reuse information, something that especially important when it comes to auto-populating forms. 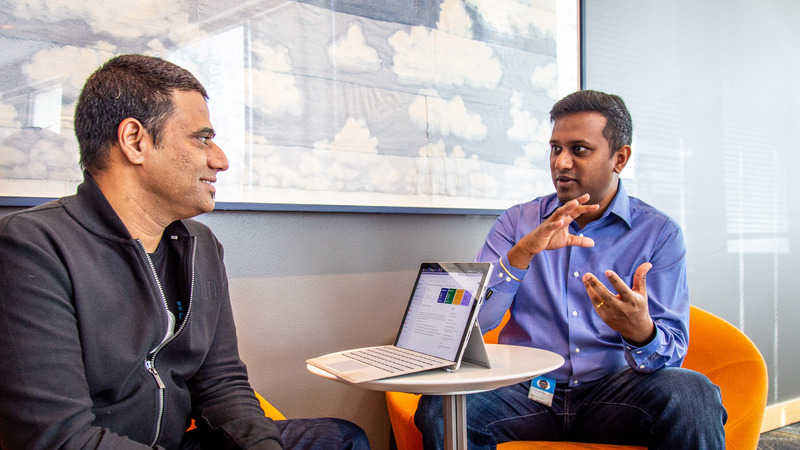 “We worked hard to consider each of the immigration team user needs when it comes to daily operations, and this helped us design a product that innovates immigration at companies like ours,” Mahendran says. The net result is that it is now much easier for Microsoft to work with foreign national employees who are moving to the US to work for the company, while making it much easier for the employees to navigate what can be a stressful process. 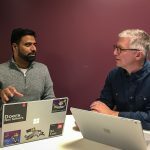 MIMS is so successful that Microsoft has been able to productize it through the AppSource (marketplace for D365 reusable solutions commonly referred as accelerators), says Iliyas Chawdhary, the principal group engineering manager in CSEO who led the architecture and engineering of this solution. He says three companies are already in the process of deploying this to manage their immigration needs. To learn more about MIMS, read this IT Showcase case study. To learn more about MIMS (including how to use it at your company) click here.